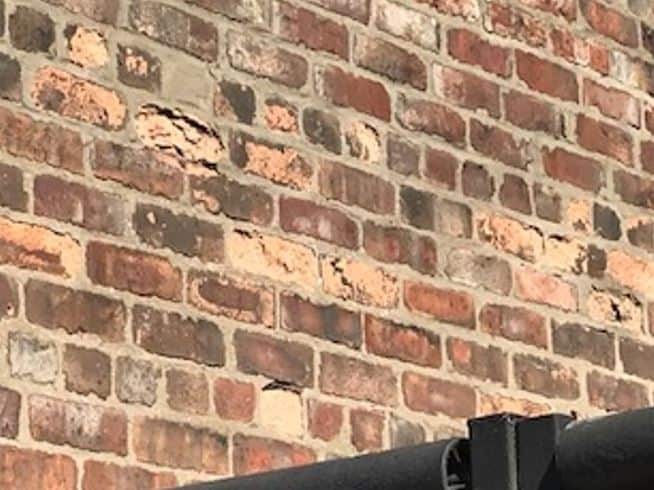 Situated in South Liverpool and a stone’s throw away from the cities three universities, Wavertree makes for the perfect location to purchase a buy to let property. Timberwise North West were called upon to examine the terrace house as our client knew he could trust his latest investment in the hands of Timberwise, having already carried out works on their previous properties The property in question is a traditional pre-war end terrace home and our client had particular concerns around rising damp and possible woodworm infestation in the floorboards and roof timbers. Originally built between 1716-17, Bluecoat Chambers is the oldest building in Liverpool’s city centre. 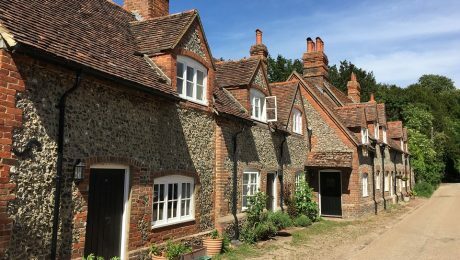 After receiving substantial damage during the Blitz, several restoration projects took place throughout 1951 to return it to its former glory. The Grade I listed building is now the oldest art centre in the country and reopened in 2008 to coincide with Liverpool’s year as European Capital of Culture. 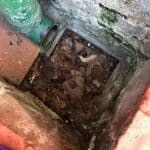 Timberwise Surveyor Sarah was concerned as the surface drains were blocked with garden debris and running water had started to back up and form a pool around the primitive walls. 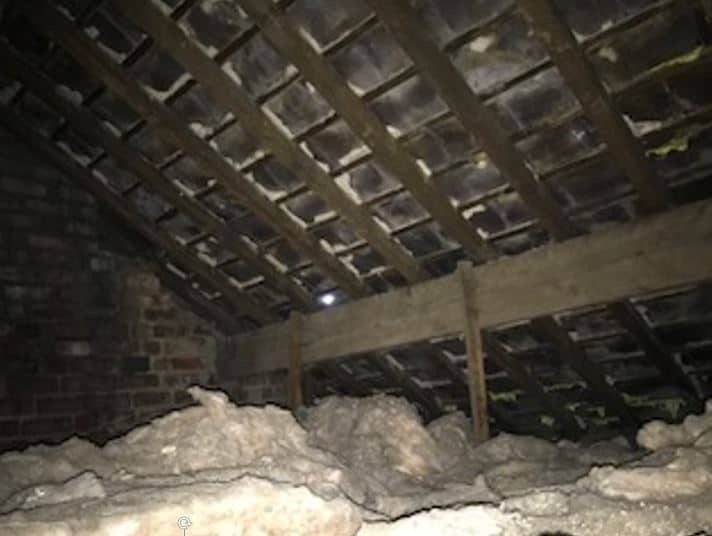 There was also no evidence of a damp proofing course (DPC) between the adjacent garden wall which abutted the building allowing moisture to penetrate directly from the brick wall through to the internal walls of the house. 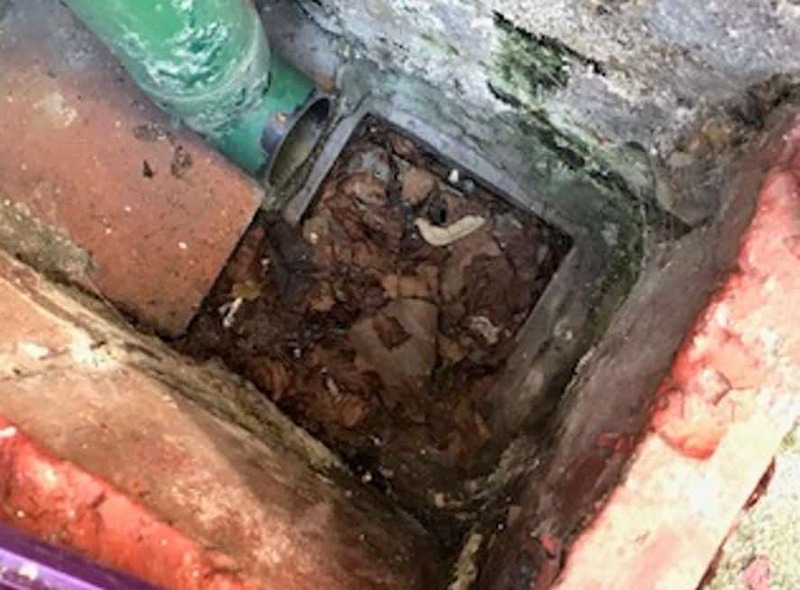 The rainwater goods were in particularly poor condition and in some cases missing altogether, subfloor ventilation was currently provided by three air vents however these were blocked. 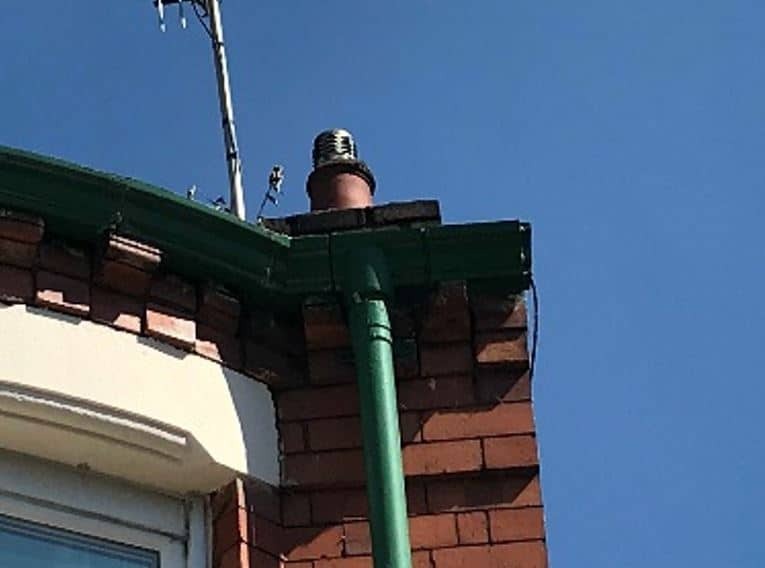 Vegetation was visible growing around the chimney stack and further, on the gable end wall, various bricks were spalling as the surface of the brick had become frost damaged and blown off allowing water to penetrate through the surface of the brick directly through to the inside of the property. 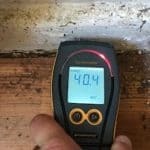 When Timberwise entered the property there was clear evidence of issues with both condensation and timber defects due to a lack of ventilation, even more, emphasised as the property was left locked up without any ventilation for a long period of time. 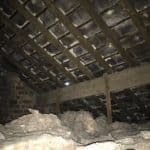 Although the roof void appeared free from rot and infestation, there was a visible beam of light peering through the roof where roof tiles had slipped away, these needed to be addressed by the prospective owner to ensure that there was no untoward ingress of water through into the roof space. 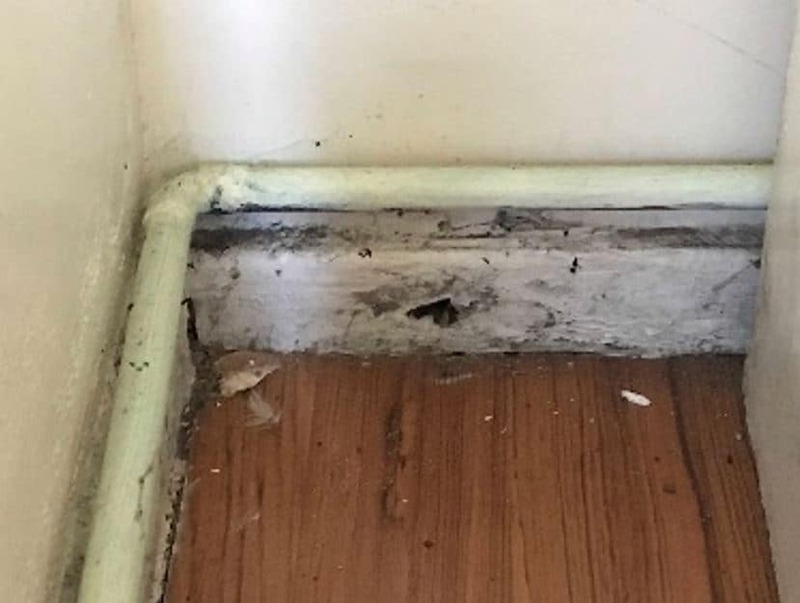 Internally downstairs, around the living room bay window, the original floor lino had been towed away to reveal that the timbers underneath had been previously replaced. 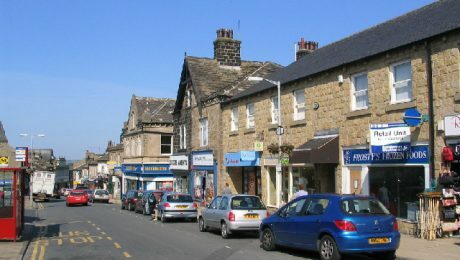 It was suggested that recommended that the client investigate further as to the age of the work and whether a guarantee of works existed with the original. 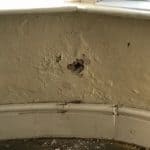 As there was no evidence of a damp proofing course (DPC) and blocked airbricks preventing ventilation around the property, the plaster was badly affected by hygroscopic salts as a result of rising damp. 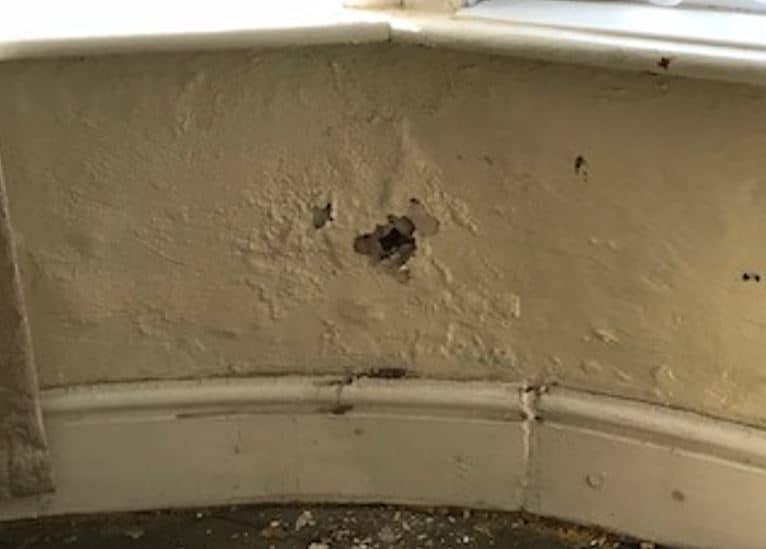 To control rising damp, Timberwise Technicians installed a DriWise damp proofing system to the walls, this was imperative to allow for a clean and healthy living environment for prospective tenants. 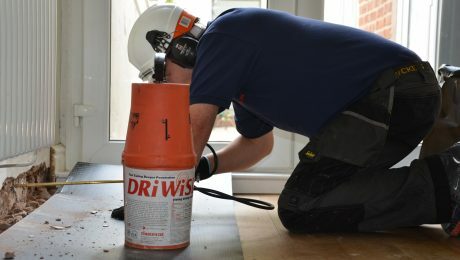 DriWisetm is approved by the GPI and benefits from our own 20-year guarantee, so the client can feel rest assured his investment is protected for years to come. After the substantial works, the property was then redecorated, a highly prestigious student building, offering the very highest level of quality, sophistication, luxury and comfort to the occupants. 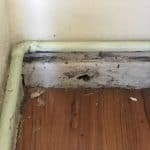 It is vital to correctly identify the damp problem you have so that the correct damp proofing solution can be put in place for your property. 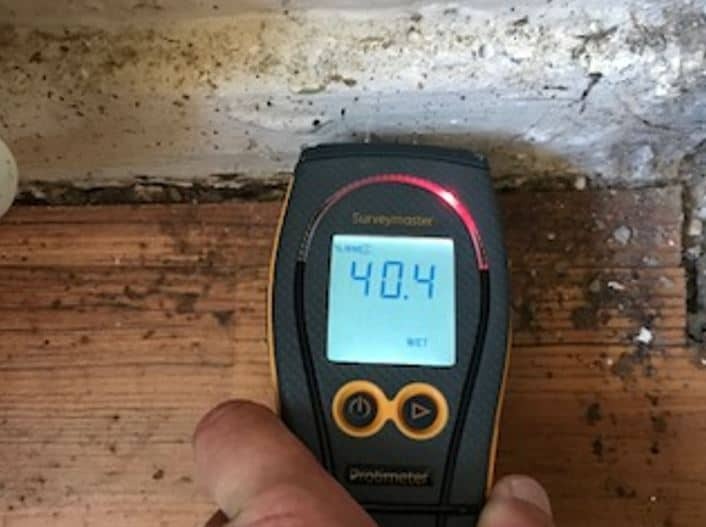 To correctly determine the form of damp treatment required, we recommend a Damp and Timber report from one of our qualified damp specialists. 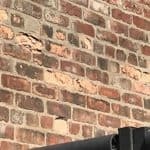 Timberwise has over 5 decades of experience in identifying and providing solutions to damp using techniques such as a damp proof course. 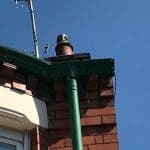 For peace of mind that your problem is rectified, call our experts today on 0800 288 8660 or click below to arrange a damp survey online.